All workshops are for a maximum of 30 students. Please note - this is only offered to schools within Greater Manchester. Support your students in evaluating and reviewing live theatre in this practical workshop. This session will develop students' ability to analyse, evaluate and reflect on the live theatre production before they watch the show. Students will also receive supporting documents to take back to the classroom with a focus on subject-specific terminology, ready to use in their exam. This fun and energetic session will introduce your students to the craft of acting and working in the round. Led by one of our highly experienced theatre practitioners, students will take part in lots of practical exercises learning new techniques to use in the classroom. This dynamic workshop will use a range of short games and writing exercises to introduce your students to the practical skills of writing a script. Working with a professional playwright, students will have the opportunity to create authentic dialogue, think about the use of stage directions, and try out script ideas.  Using the Royal Exchange as a stimulus, this fun and creative session will leave students with a toolkit of exercises and techniques for creating and developing their own devised pieces of work. Gain a deeper understanding of our theatre productions with workshops tailored specifically to our current season. Students will practically explore plot and character whilst discovering how the text has been interpreted by the creative team, the perfect addition to your theatre trip!